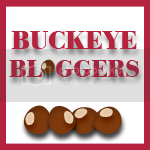 You are here: Home / Buckeye Bloggers / Buckeye Bloggers: Let’s Connect! I know, it’s been awhile. I am sorry. I let the Buckeye Blogger Hop go too many months without a link up! So, let’s start this year off right with a little local love and party like only a Buckeye knows how! Also, I am currently looking to trade posts/FB links to build my local following for two giveaways that I am offering. If you would be ever so interesting and willing, I would be very grateful. Here is the link to win 4 tickets the Columbus Opening night of Shrek -The Musical. Please stop by to enter and pass it on. Then shoot me an email and tell me how I can help you! I keep getting an error when I try to link. It always happens at cropping the photo and it doesn’t matter if I crop it or say to auto crop it.